Studying the whole world of wine can seem daunting to begin with, here are our 5 Tips for Passing WSET courses. 1. Prepare properly. Each course level has a recommended minimum of pre-course study hours. Make sure that you put in the work as each intensive course can leave little time for additional revision. Don’t just read the text, learn the geography, processes, regional names and grape varieties. 2. Use resources beyond the WSET study pack. The WSET materials contain all of the information that you will need, however, we do recommend building your knowledge from a range of sources. Do look at the relevant course specification on our website and also read a range international wine books, magazines and websites (we are happy to recommend sources). There are also our L3 Study Group on Facebook and plenty of maps on the Wine Academy Italia #WSET Pinterest boards. 3. Be prepared to alter your perceptions. We will taste wines from across the world, many you may not have tasted before. It is important to judge each wine on it’s own merit, not on your personal taste. The WSET Systematic Approach to Wine Tasting (SAT) is a great way to develop your skills. Practice tasting different wines using the SAT. 4. Make the most of your Tutor’s knowledge. At Wine Academy Italia we use only highly experienced wine business professionals, all of whom hold the WSET Diploma. If you have a question just ask, either in class or during the day. Are there areas of study that you find challenging? We are happy to work through any of these with you. 5. Enjoy it. Wine is a enormous subject, the good news is that WSET courses break topics down into clear and manageable sections. It is also a fascinating world and one that our students are enthusiastic to find out more about. 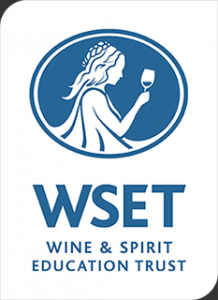 Don’t forget to enjoy your path through WSET qualifications.